Black cockatoos and Banksias are much-loved icons of our natural heritage. Enjoy a morning learning about these bushland jewels at Bold Park. Here you can share information on their nature and interdependence and the fragility of their numbers. You will also learn about community efforts to conserve them into the future. The Urban Bushland Council warmly invites you to spend the morning exploring the Black Cockatoos and Banksias at Bold Park. This is part of our celebration of the 2019 Australian Heritage Festival. Bold Park is one of the largest bushland remnants in the urban area of the Swan Coastal Plain, and home to the Western Australian Ecology Centre where we will meet. Some great speakers will share some of their knowledge and understandings about these two iconic, but threatened bushland treasures. Then they will guide you on a walk through beautiful Tuart-Banksia Woodland to the lookout at Reabold Hill. We will also pause along the way to identify the Banksia species and other native flora and fauna encountered. Through this, you will appreciate the unique biodiversity of Bold Park within its urban context through the panoramic views from the lookout. 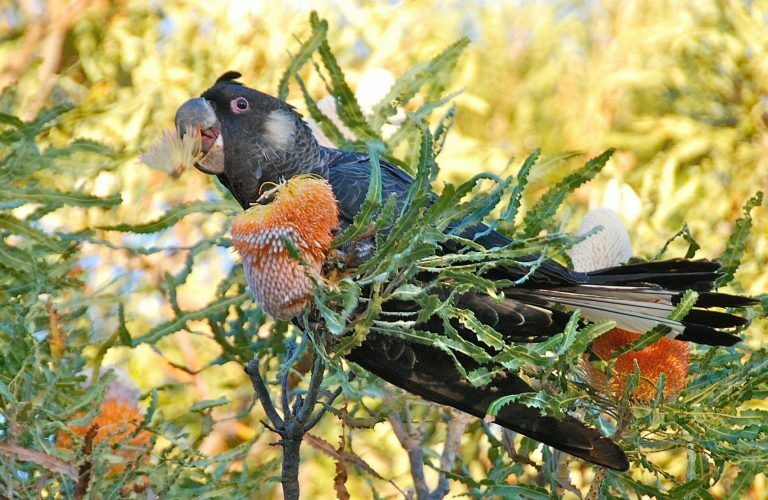 You will also learn a little about community efforts to protect both Black Cockatoos and Banksias, as well as become familiar some of the challenges to their futures. Bold Park onsite facilities: Accessible, with accessible toilets; family events, guided tours, parking, toilets and refreshments available.